I have been pondering the food truck debate. Why can’t they pop up on streets near downtown? Portland, Ore., boasts the most food trucks and food stalls per capita, and you don’t hear restaurants or politicians calling foul. Now, while I certainly don’t think a food truck should pull up and block a brick and mortar shop, can’t everyone just get along? And to me the ultimate question is where does the best food come from? I would take a cheeseburger or chicken pot pie at JR's Old Packinghouse Café any day. If I want to relax and consume beautiful food in a beautiful environment, I'll go to Maison Blanche. But when it comes to BBQ and pizza, I don't need walls or menus with 40 different items--just masters at their individual crafts in whatever venue they happen to work in. 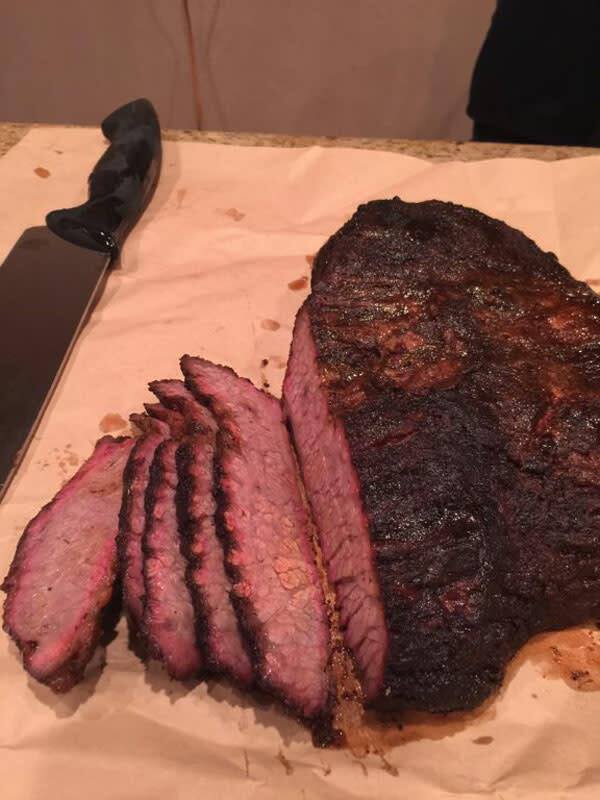 Case in point: If you have not gotten up at 7 a.m. to run to the downtown farmers market on Saturday morning and stand in line for what I declare the best brisket in the whole U.S. of A (outside of Franklin's, in Texas, that is), then you need to stop reading this blog and get down there, folks. Mark Gabrick, who owns Bricks BBQ, is a craftsman, and his brisket, his presentation and his hospitality are perfection. You can read more about him here. And then there is Polpo Pizza Co. I'd heard from numerous friends that the pizza is"to die for," and that might actually be an understatement. 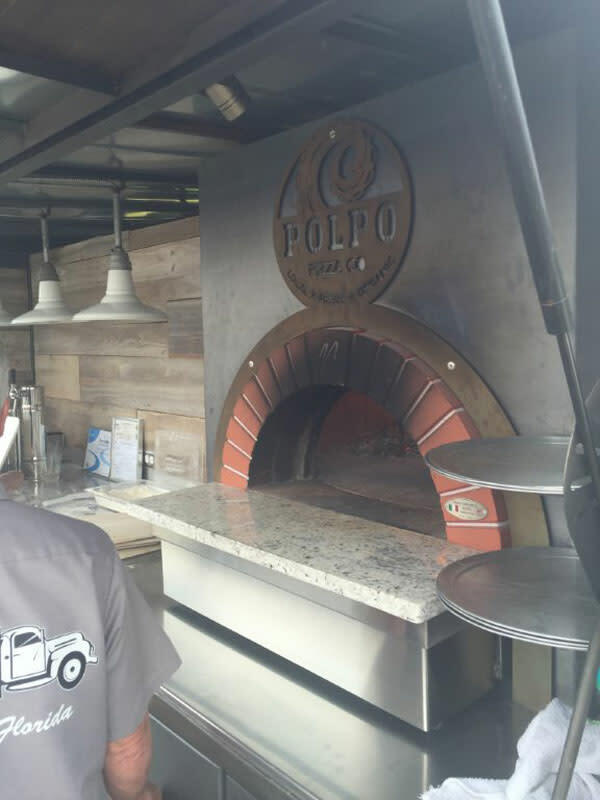 Polpo serves its pizza out of a wood-burning oven that's built into a vintage pickup truck, and the owners have a burning desire to bring Sarasota and Bradenton the best wood-fired pizza. Seriously, you have to try the Bee Sting--it's a spicy pie with garlic- and chile-infused olive oil, red pepper flakes, fresh (homemade) mozzarella, spicy calabrese, chile pepper-infused honey and Parmesan cheese. Both Bricks and Polpo Pizza Co. stand poised to send a message to all foodies and all restaurant owners: Be craftsmen, be nice to your guests and make the best product possible that carries your name. These two food stands define perfection (and, happily, both are available for private parties). Just remember to invite me if you invite them! 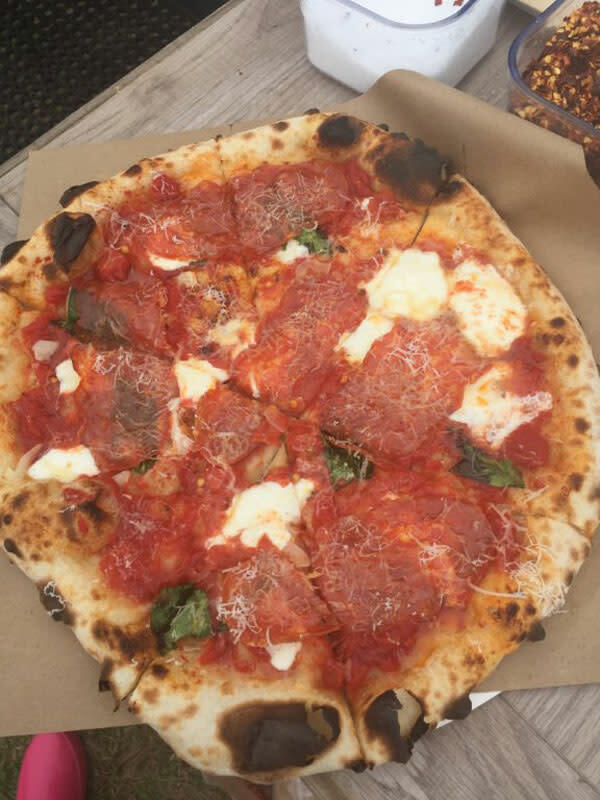 Sarasota Farmers Market, barbecue, Foodie's Notebook, pizza, Brick's BBQ, Mark Gabrick, Polpo Pizza Co.